When self catering, Cape Town holiday rentals need to be easy, fully equipped and brimming with comfortable extras. Our selection of premium spaces will make your self-catered holiday special. On your next dream holiday, make sure that you squeeze every drop of fun out of your Cape Town self catering stay by deciding to invest in a property where you can make your own meals or venture out on the town to find a new food experience. 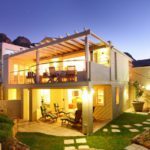 There are many different types of four and five-star properties that are used for self catering – Cape Town is full of them. Your holiday rental will be primed and ready for you to make whatever meal you see fit. Just browse through our incredible list of luxury homes and apartments below. Cape Town is globally renowned for its delectable eateries, restaurants, cafés and local food markets. With some of the freshest, richest produce you can get directly from a farm, or from the ocean – it’s a shame to only enjoy cuisine from one location during your stay. When you choose self catering, Cape Town opens up to you – which means the best local food experiences in the world. Explore the city’s food scene and cater for yourself to make it extra special. Some properties are non-self-catering, and some are contemporary self catering. 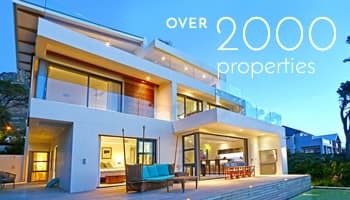 Cape Town luxury villas and apartments that have this facility allow you to stay on a property that has a fully kitted out kitchen, where you can prepare your own meals. When you are going to holiday in Cape Town, self catering options give you the flexibility to eat where you want and what you want – unlike a stay at a popular local hotel with set times and menus. If you want privacy most and want to experiment with different foods, it’s the most convenient version of a luxury home. Who Would Enjoy Self-Catered Stays The Most? Guests that want to eat out: You’re on holiday! No need to cook or eat in. If this sounds like you, you don’t need to cater for yourself at all but the facility is there in case you need it. Guests that want to eat in and host: What is better than cooking local produce and having friends, business colleagues or family over to enjoy the food and views with you? Nothing. Guests that don’t want to be limited: Hotels have rules, even restaurants have open and closing times. You just want to relax and eat whenever you feel like it. With private self catering, Cape Town visitors get to holiday in exquisite surrounds while still in complete control of their own kitchens, and functionality means freedom. Search through our collection of properties and cater for yourself on your next stay. Cook, go out and eat your way through to the best vacation of your life.